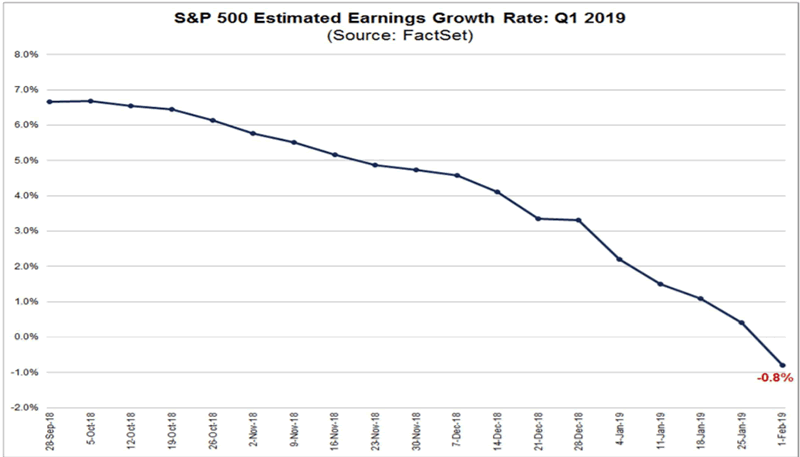 As the stock market rallies higher and is on the verge of breaking out above its 200 day moving average, the outlook for Q1 2019 corporate earnings growth is falling. Is this bad news for the stock market? This is a very rapid decline in corporate earnings. Earnings growth exceeded 20% even in Q3 2018. *Much of this decline is due to tougher comparisons. Earnings surged in 2018 partially due to the Trump tax cut, which resulted in a 1 time boost to corporate earnings growth. Now that 1 year has passed since the tax cut, earnings growth is falling. Here’s a chart for the S&P in Q1 and Q2 2001, as the 2000-2002 bear market was getting started and dot-com profits evaporated. n =2, so take this “long term bearish sign” with a grain of salt. But at the very least, this isn’t a bulish factor for stocks. 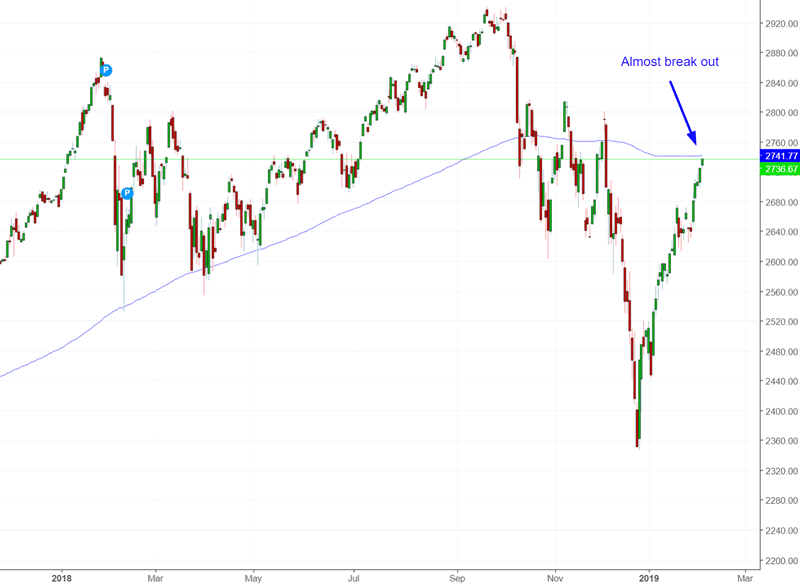 The S&P is extremely close to breaking out above its 200 day moving average, which means that many trend following strategies are also close to turning bullish. This comes after the stock market is extremely oversold. 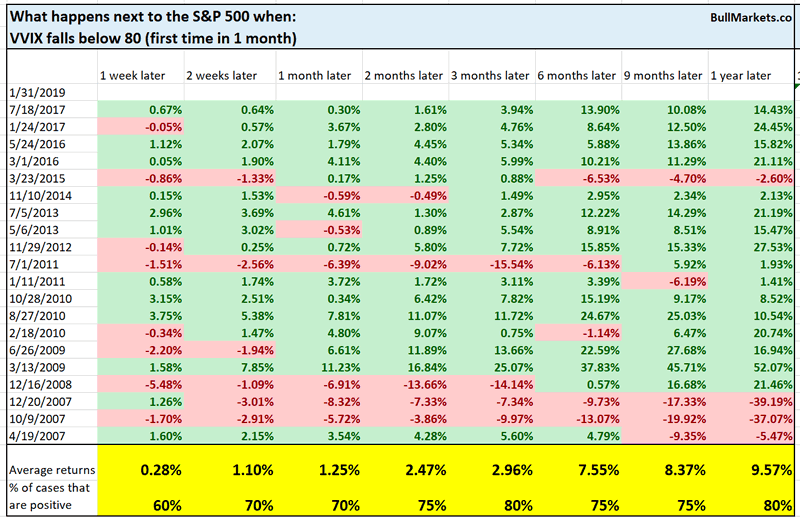 Such breakouts usually result in more gains for the stock market over the next 3-12 months. Traders and investors who sold into the crash are encouraged by the breakout to jump back into stocks. As they chase the stock market higher and “buy the dip”, the rally continues. 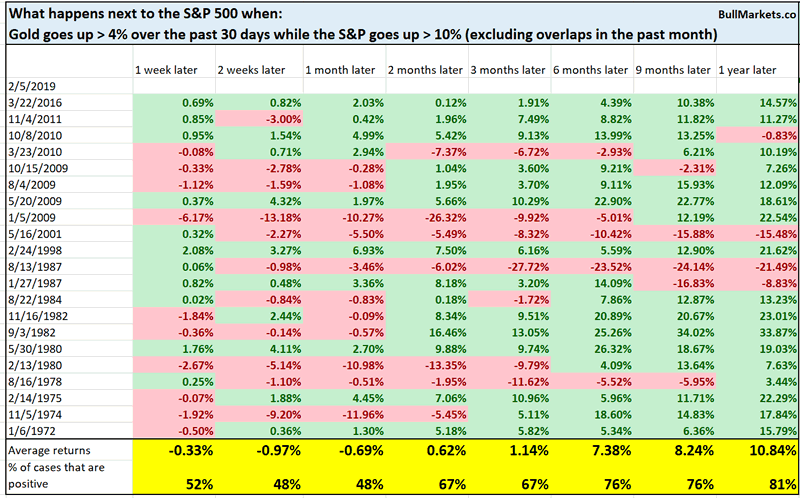 Here’s what happens next to the S&P 500 when the S&P closes above its 200 dma, after being more than -14% below its 200 dma over the past 3 months. This happens a lot after massive stock market crashes. It’s not just the S&P that has made a V-shaped rally. Other indices have as well. From 1987 – present, this has only happened 2 other times. The NASDAQ’s 27 day rate-of-change has gone from less than -16% to more than +18%. From 1971 – present, this has usually led to NASDAQ weakness over the next 2 months. The volatility of volatility has gotten some attention recently, with some traders looking to short stocks and long volatility. 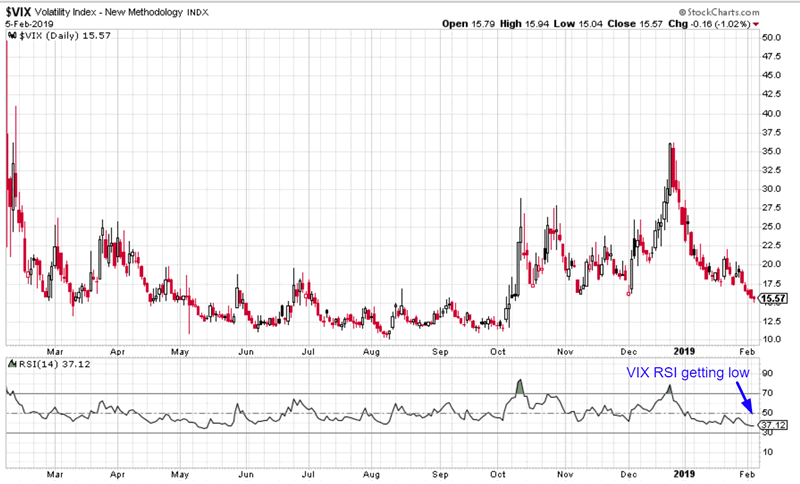 $VVIX (VIX of VIX) has become quite low. Is this a bearish sign for stocks and bullish sign for VIX? 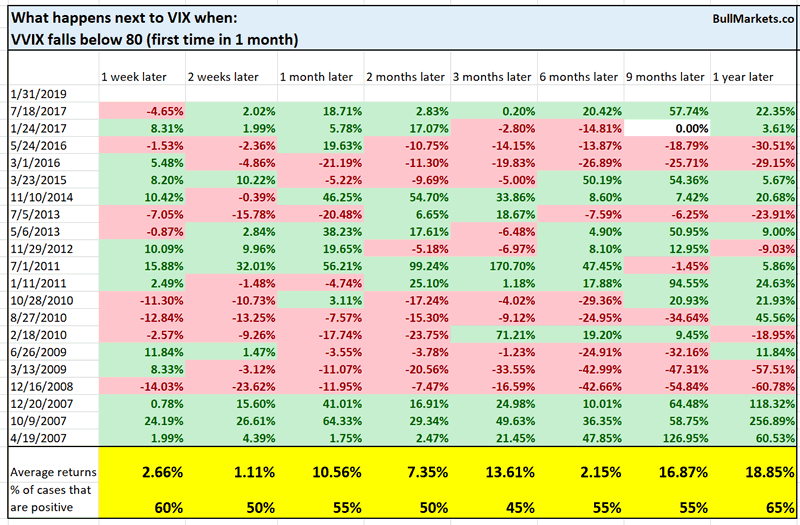 As you can see, this is neither consistently bullish nor bearish for the S&P and VIX. 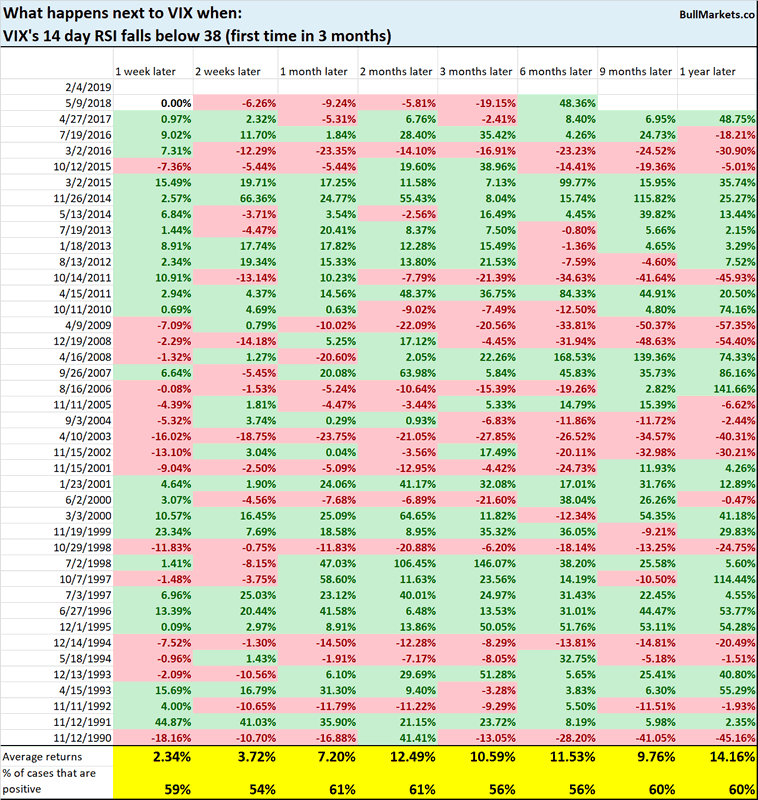 Meanwhile, VIX’s 14 day RSI has become quite low. 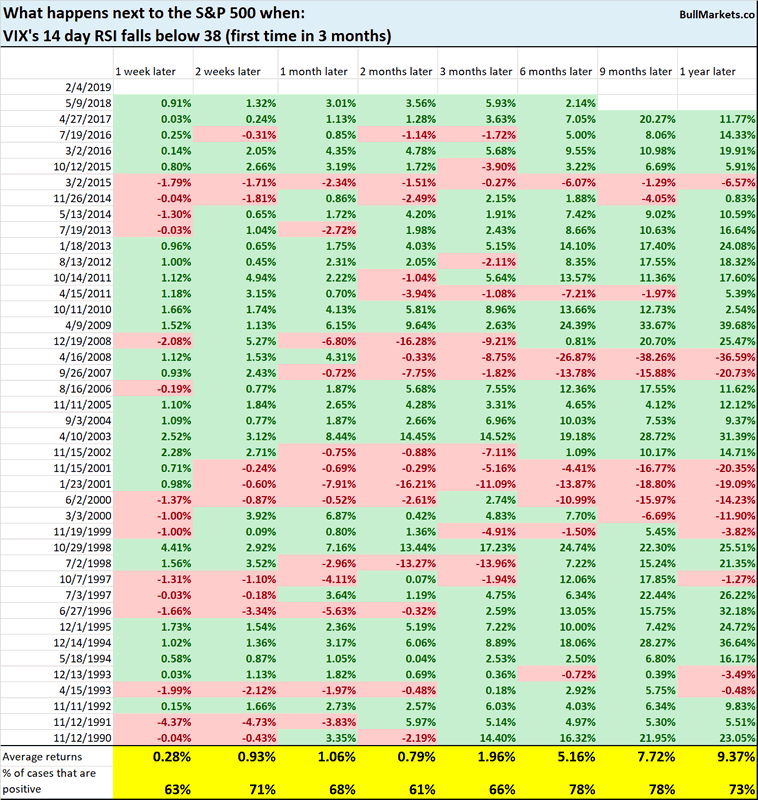 Once again, this is neither consistently bullish nor bearish for the S&P and VIX. Gold initially went up in Q4 2018 as a safety haven play. 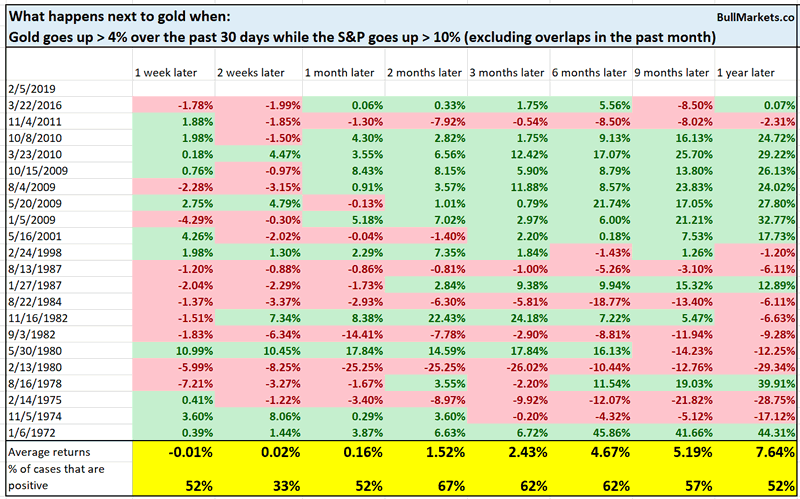 Stocks were falling, and gold went up. But now, gold and the S&P are trending higher together. 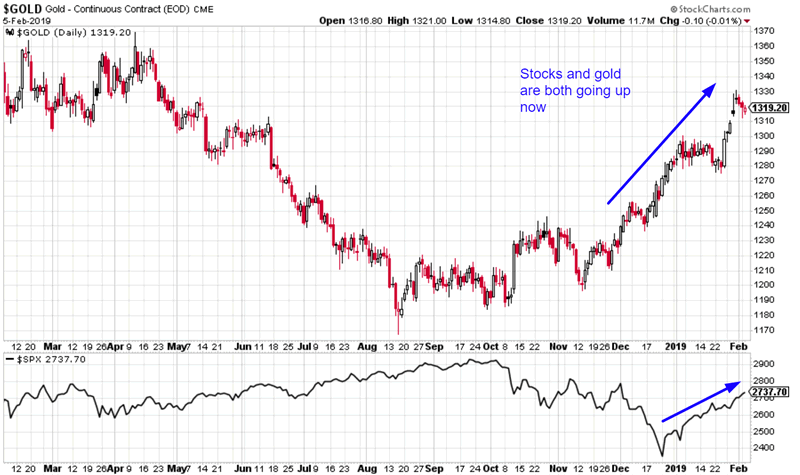 One would assume that after the stock market crash ended, gold’s rally would stop. 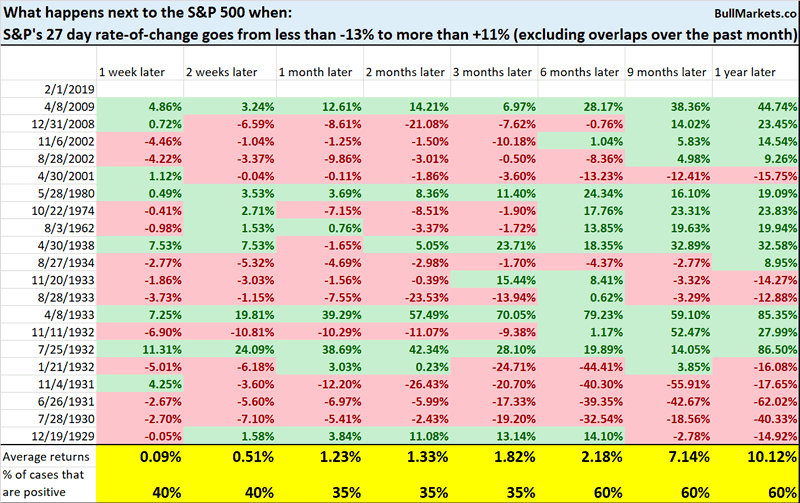 This is mostly random for stocks, although there is a slight bearish lean over the next 2-4 weeks.